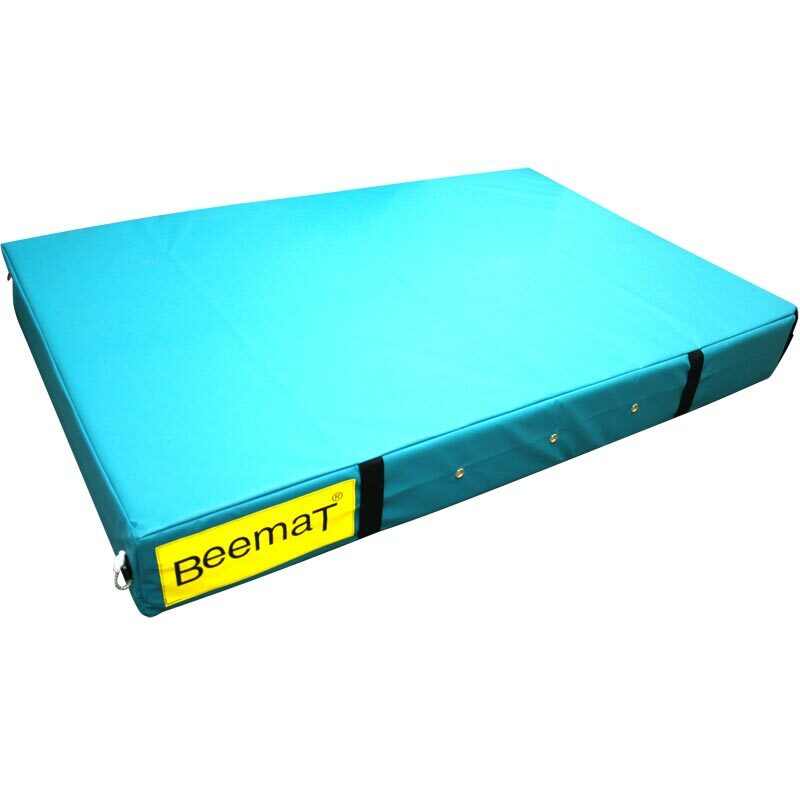 Beemat ® Crash Mats are a cheap institution range which is part of the Beemat brand of gymnastic mats which have been developed over many years and provides high quality products for all ages in education and recreation from pre-school groups to athletics clubs. 1.82m x 1.22m x 10cm - 6' x 4' x 4". 1.82m x 1.22m x 20cm - 6' x 4' x 8". 2.44m x 1.22m x 20cm - 8' x 4' x 8". 2.44m x 1.38m x 20cm - 8' x 4'6" x 8". 2.44m x 1.22m x 25cm - 8' x 4' x 10". 2.44m x 1.22m x 30cm - 8' x 4' x 12". 2.44m x 1.38m x 30cm - 8' x 4' 6" x 12". 3.05m x 1.52m x 30cm - 10' x 5' x 12". Great quality and at a reasonable price. The new mas are a little hard at first but are breaking in nicely. Good carrying handles that appear to be very sturdy. We will definitely be buying more when we need them. Used for a big musical theatre production and the best thing is how light the crash mat is and so easy to move. Costumer service was brilliant. Very very good price will be buying more! Bought to go with my daughter’s kip bar and well worth spending the extra to get the reassurance she’s better protected. Great soft landing every time. Arrived well wrapped and promptly. Good quality product with strong grip handles and toggles. Good safety product for my aerial hobby. Excellent product 5 stars. Delivery was super quick (within 48 hours). 5 out of 5 Great crasg mat! This crash mat is a huge hit with our kids and seem really hard wearing so far, very pleased ?? Bought this for my 9 year old son who likes him gymnastics. My daughter captured a video of him doing a front flip in our garden off of one of those bouncer exercise trampolines onto the grass. I thought it was a bit dangerous so decided to look for crash mat to allow him to do it a bit safer. This fits the bill perfectly. He has had many failed landings onto this and never once hurt himself. A very very good buy from a safety perspective. The build quality is very good and I would have no delay in recommending to friends. Absolutely fantastic, great value and delivered next day - 2 very happy 8 year olds!! Very quick delivery Colourful,firm, non slip. Children loved it! 5 out of 5 fab mat! My 2 daughters love this mat for their gymnastics. Perfect size for our living room and outside, would definitely recommend this product. Delighted with our Beemats for our Aerial Hoop classes. Delivery was faster than expected too. Purchased a couple of these mats for MA school, I was very dubious at first, thinking they would be too thin for really big throws and takedowns but was pleasantly surprised by the protection offered. These are outstanding value for money and perfect for any judo / wrestling club looking to practice those big aerial techniques. My daughter asked for a mat to practice gymnastics at home. I looked at a lot if mats online and this was by far the best in terms of price, size and thickness. The delivery was a lot quicker than expected. My daughter loves her Mat and can now do a backwards walkover! Bought a 6x4 mat. Extremely lightweight, yet firm, providing a good base for our trapeze and hoop classes. Students love it. Fast delivery and best price we could find. I bought two 1.22m x 1.22m x 21cm crash pads. Find the quality very good and the price very nice. Adding two matts gives great support when bouldring/climbing outdoor. Would be great if there was a Carrie system for it as an extra option, carry the mat on your back would be great. The pads are super light. Thanks for great product. Light weight and very soft 6ft by 4ft, perfect for my 7 year old boy to practice advanced kickboxing tricks and flips ?? 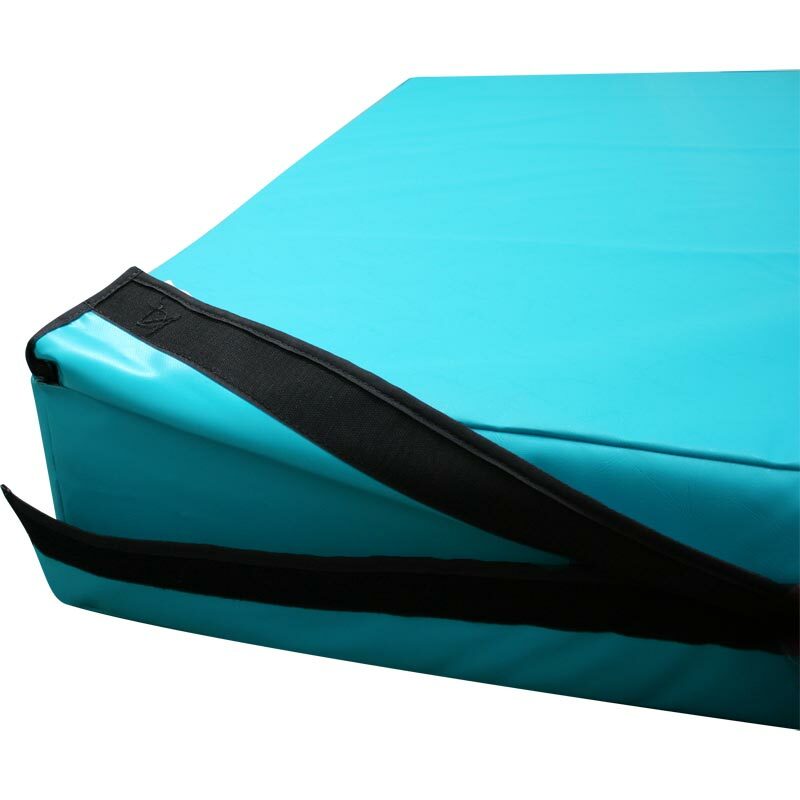 This crash mat is great, light to carry and perfect for my daughters to practice their gymnastics. Really glad I chose this one, you get what you pay for. Great value, quality product. Really decent thickness for the cost and lightweight so that my young children can move it around as they desire. Delivery was really fast too..excellent purchase. Bought this matt for my 18 month lad, though it would go down well that's an understatement I can't get him off it, & it's a great size easy to store but big enough for lots of fun. Bought this crash mat for my grand daughter's tenth birthday she loves it is helping her with her gymnastics delivery was also very quick. 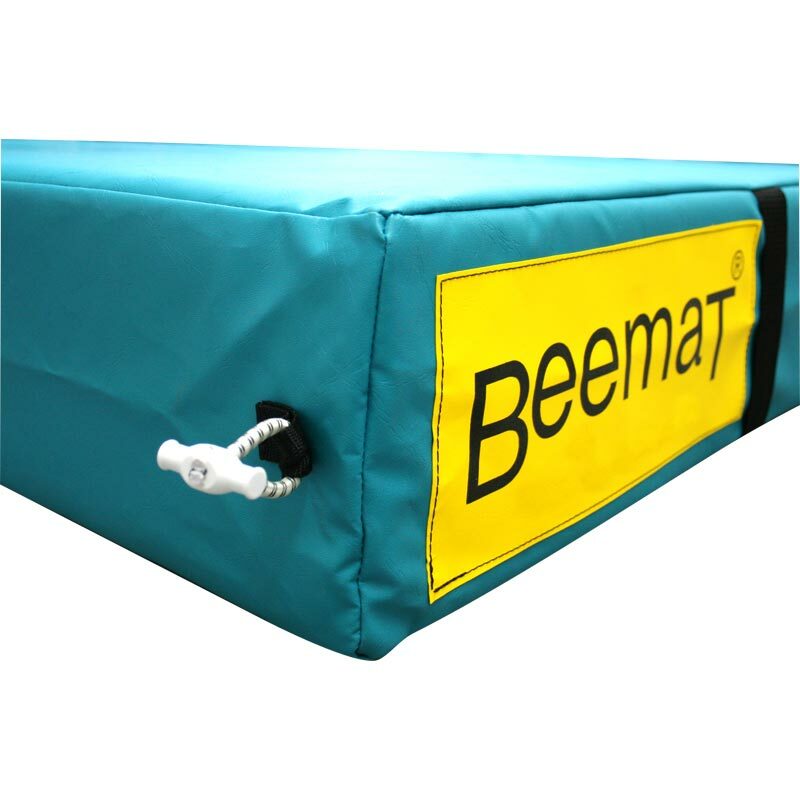 5 out of 5 Beemat Crash Mat 6 x 6 x 4"
Fast delivery and good packaging .Item as described . Endless fun for kids . It's not too heavy so kids can move it themselves only problem all their mates want to come round now . Very good crash mats and ideal for my requirements as I need to transport them in a car. I bought two 4ft ones and they link together to make one x 8 x 4ft which is ideal. Good service and quick delivery. The mat is good value for money, service was excellent. The mat is of good quality and I would order another one again if needed.